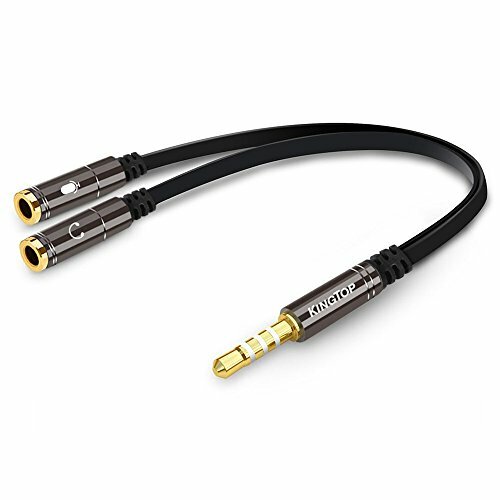 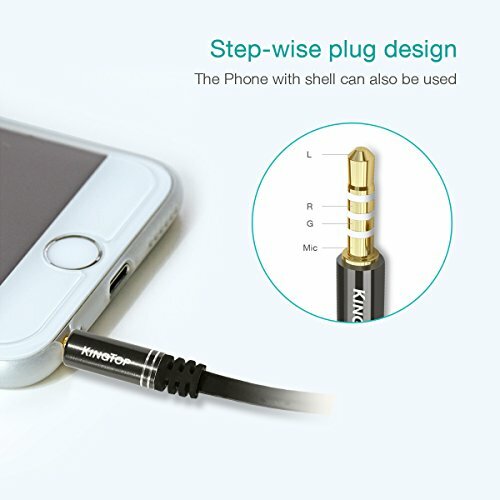 Combo Audio Adaptor: 2 x 3.5mm female jack plug to 1 x 3.5mm male jack plug. 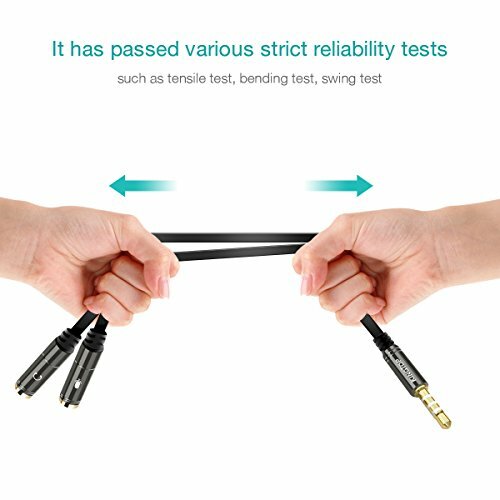 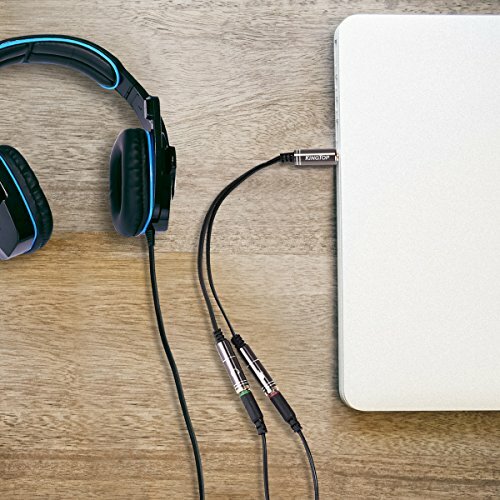 Most new laptops and Ultrabooks come equipped with a single 3.5mm 4-position (4pin) audio port that supports both audio input and output. 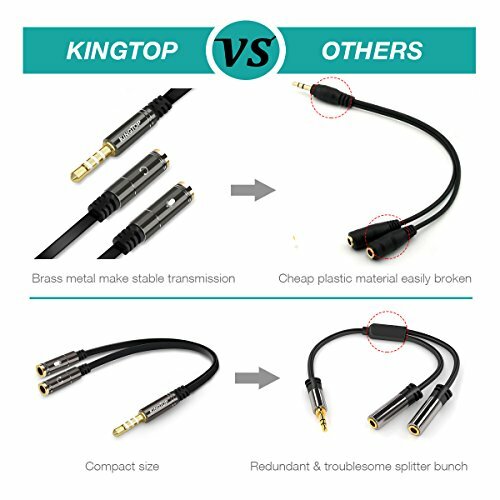 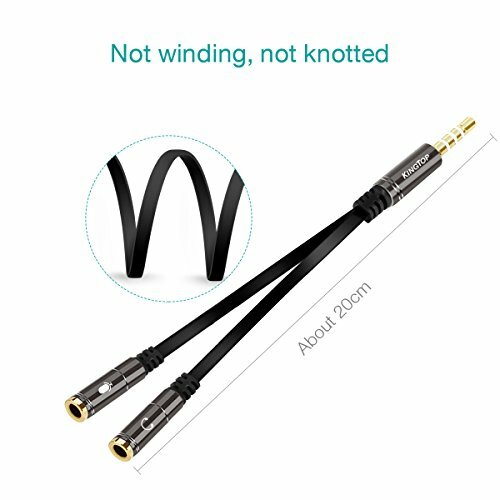 Work with any headphone/mic setup that is base of a 3.5mm jack. 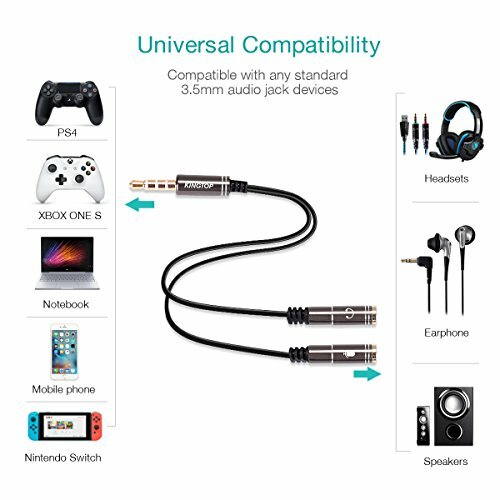 Clearly labeled adapter: colors and symbols for easy identification of mic and headphone inputs.